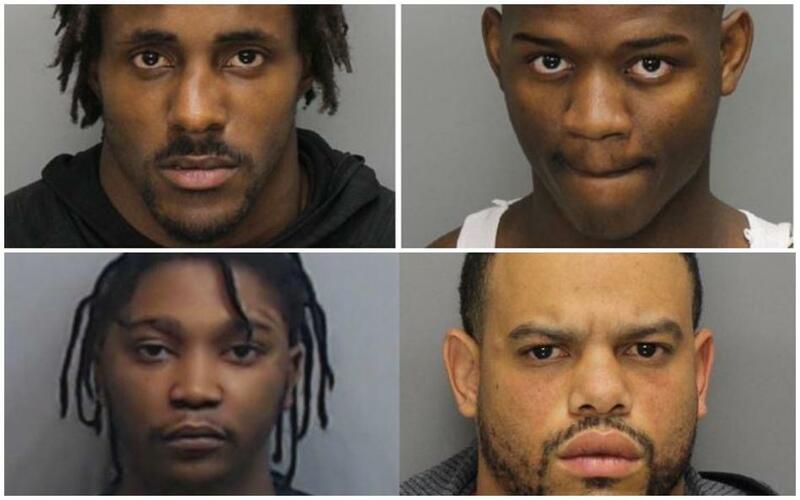 A Cobb County grand jury has formally charged four men with running a gambling operation on the Kennesaw State campus and robbing some participants at gunpoint, the Atlanta Constitution Journal reported on Wednesday. Those charged include Akebren Ralls, Jai’len Edwards, Justin Mosley and Issiah Hightower. Two of the men - Ralls and Edwards - were football players at the school. The other two men had no affiliation with the college. Charges included armed robbery, aggravated assault, carrying weapons on schools property, gambling and keeping a place of gambling. The five victims reportedly came over to Ralls residence in order to place a bet on who would win in a match of NBA 2K18, a basketball video game. The pot for these games totaled thousands of dollars throughout the night, cops wrote. Edwards let Hightower and Mosley, carrying Draco .233 caliber pistols, into the apartment sometime between 4 and 5:30 a.m. The two men ordered the five victims to the ground and demanded their clothes and money, according to warrants. Witnesses told police Edwards acted as a lookout for Hightower and Mosley, the AJC previously reported. The three took $3,700, an iPhone 7 plus and a wallet containing someone’s Social Security card, according to the warrants. According to a police report, Ralls had been asleep in the apartment until he heard commotion. At some point during that commotion, one of the gunmen fired a round. According to police, the bullet traveled through the ceiling and went into the attic, where the bullet lodged itself in a wooden support beam. The damage was estimated at $2,000.